Portable Jib Cranes — Hester Fabrication, Inc.
To order a portable jib crane for your shop or business, please click here. 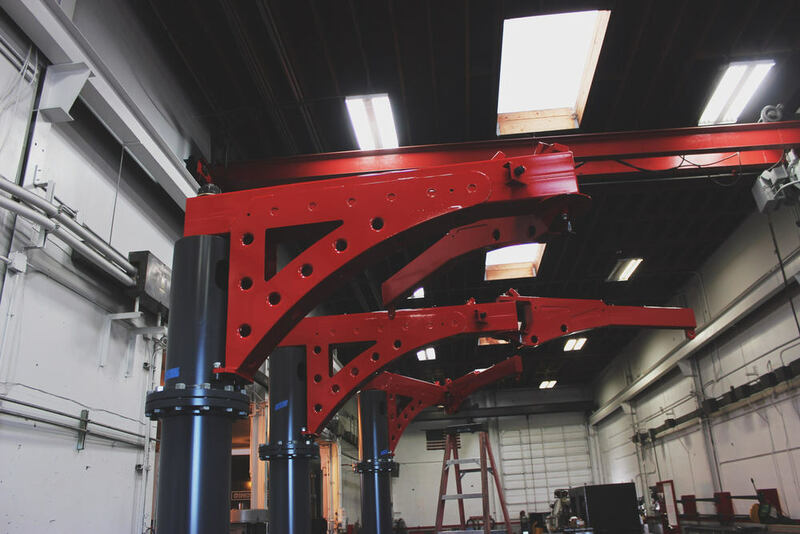 Engineered and fabricated in house, our portable jib cranes have been a huge success addressing our clients needs for large material fabrication and maneuverability. Our jibs keep their material swinging and loading through multiple shifts a day. The cranes have a rated capacity of 500 lbs in a 20' diameter circle (Capacity is based on 5:1 structural safety factor and a 2.5:1 tipping safety factor which exceeds OSHA and ASME standards). The hoist is a Harrington AH500 manipulator hoist, which has the controls right at the grab handle. The units run on air and have a built in 50' hose reel so they can be plugged in easily anywhere in the shop. The main boom is free to spin 360 degrees, and the secondary boom can rotate 310 degrees, which lets it work the entire range from the edge of the counterweight all the way out to a 10' radius. The booms spin on heavy duty tapered roller bearings so the boom motion is effortless. And one of the best features, it's easily portable. 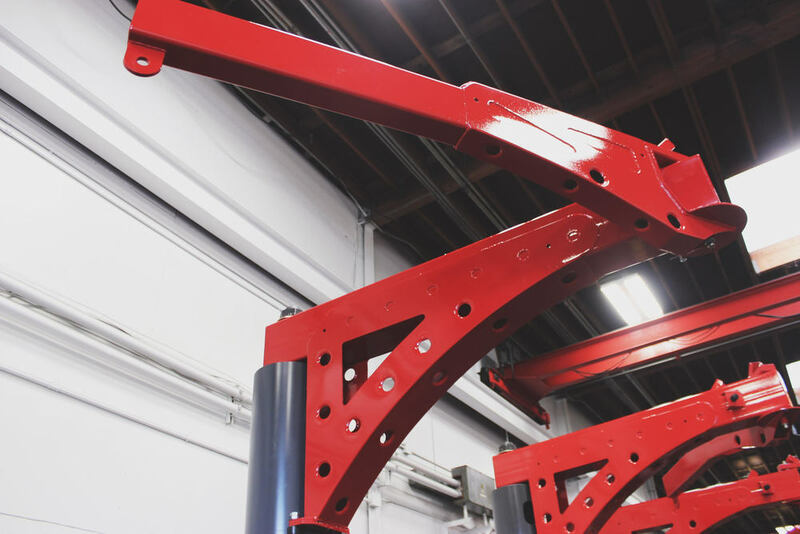 The 10' radius model weighs right around 6,000 lbs, so it can be moved easily with a forklift or by a heavy duty pallet jack. We also have made 8' radius units that weigh around 4,500 lbs and can be moved with most standard pallet jacks. There are also lockouts for the boom so it doesn't swing around while moving it around the shop. The standard height is just around 10' to the highest point, with a shipping height of 6'-9."